WARNING: This guide is not intended for student or individual installations of Matlab. 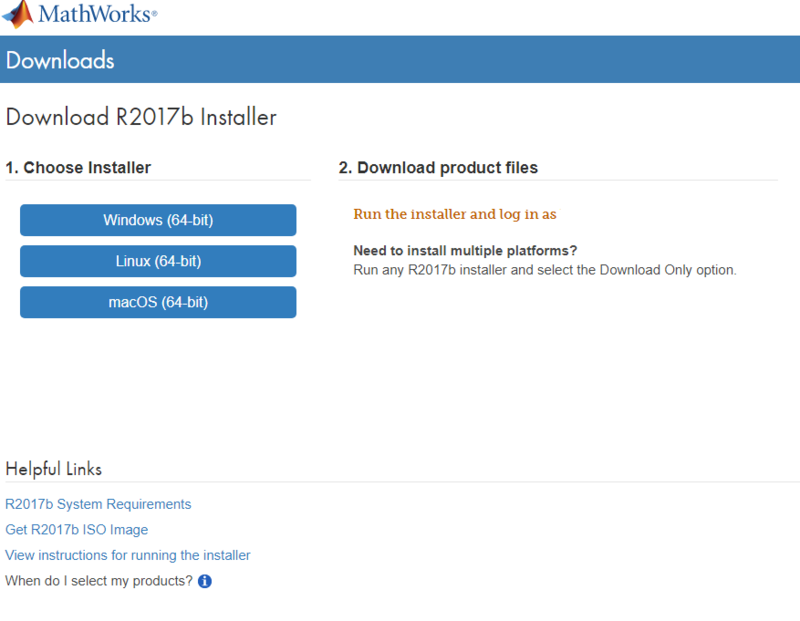 Please refer to the MathWorks website here for installation instructions for students or individual systems. 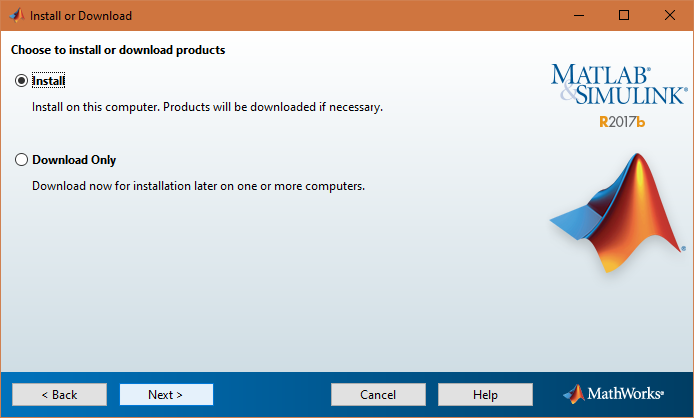 To install Matlab on your Windows or Linux system, please use the following instructions. Extract the license.dat file from the zip file to a folder for use later in the process. 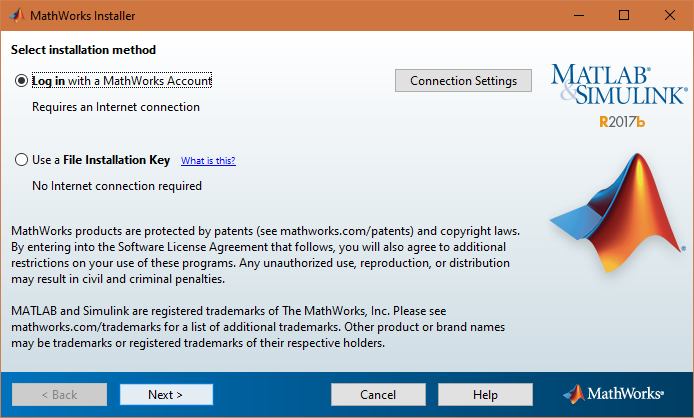 You will need to login to your MathWorks account to access the page. 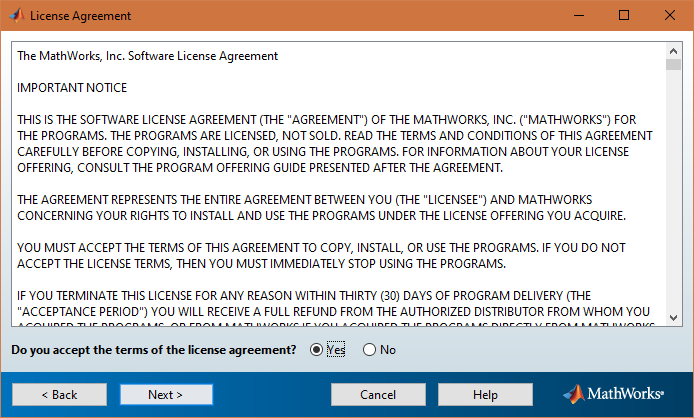 If you have licensing issues, please email hpc@fau.edu for assistance with the subject “Matlab License”. 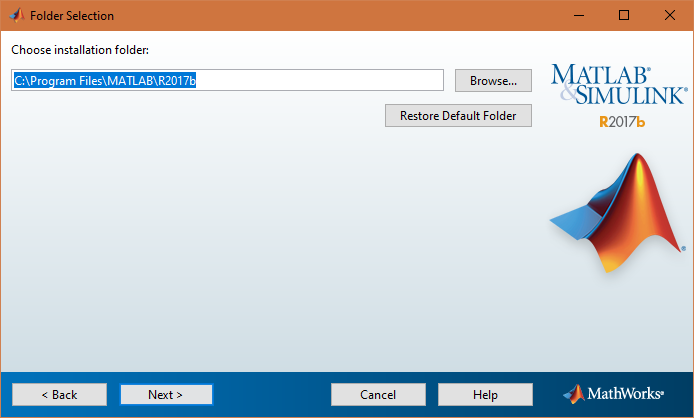 Download the version required by selecting it in the list on the right and clicking the blue button with the version name in the left panel. Choose the OS required and click the button to begin the download. If you have no internet access, please select the Get <version> ISO Image instead listed below the installer choices. 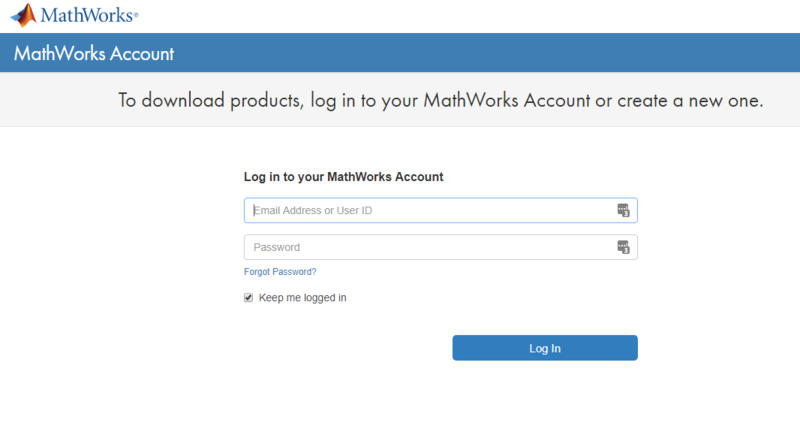 Select ‘Log in with a MathWorks Account’ and click Next. Enter your MathWorks account information and click Next. 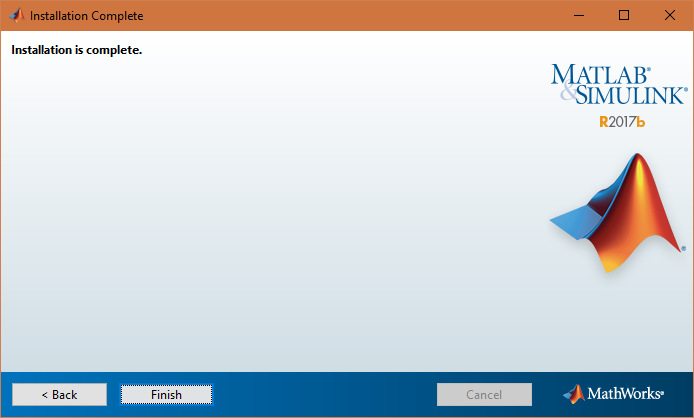 Select the Install option and click Next. 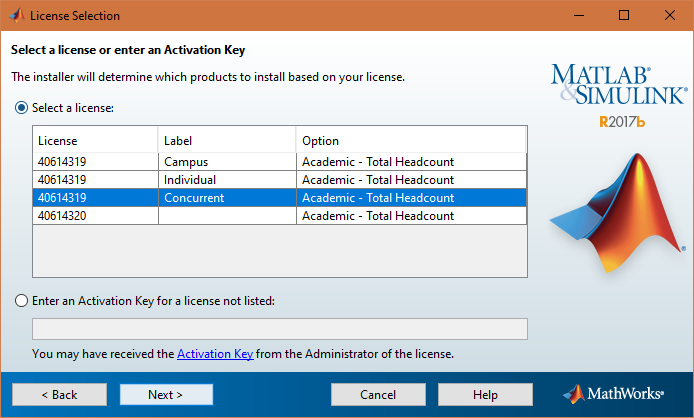 Select the Concurrent license option and click Next. If you do not see the license type listed or the numbers are different, please email hpc@fau.edu with the subject “Matlab License”. Select the installation location you wish to use and click Next. Typically this will not change from the default location. 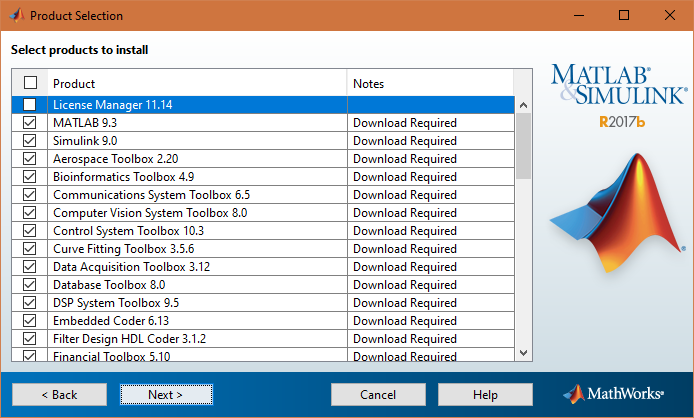 Select the toolboxes you would like to install. DO NOT select the License Manager, this will install a new license server and your installation will not work. 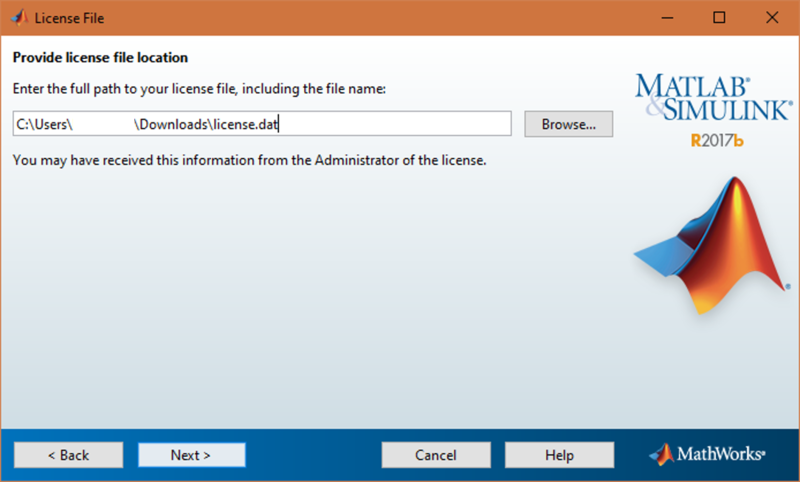 Select the license.dat file you unzipped previously and click Next. 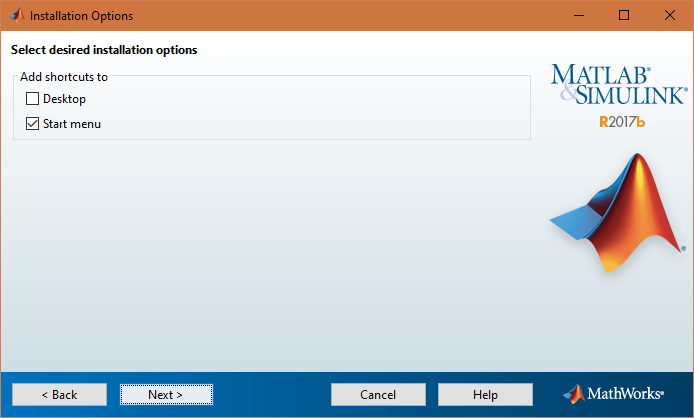 Verify your Start Menu and Desktop shortcut preferences and click Next. Verify all toolboxes to be installed and click Install. Installation will begin by downloading all products to be installed and then it will install the toolboxes. 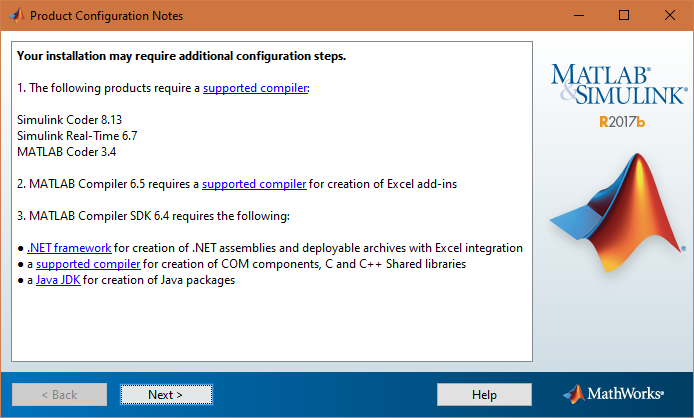 Install any missing compilers and packages if needed. Click Next to continue.